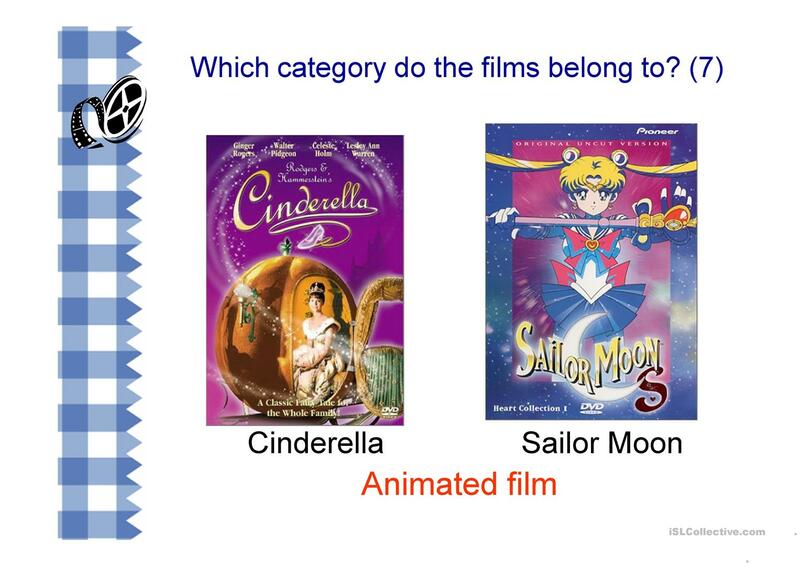 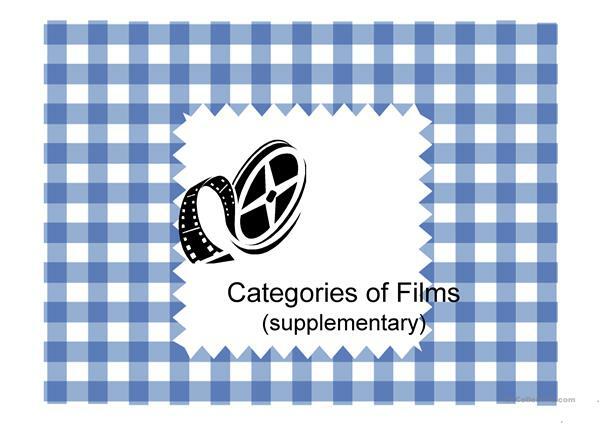 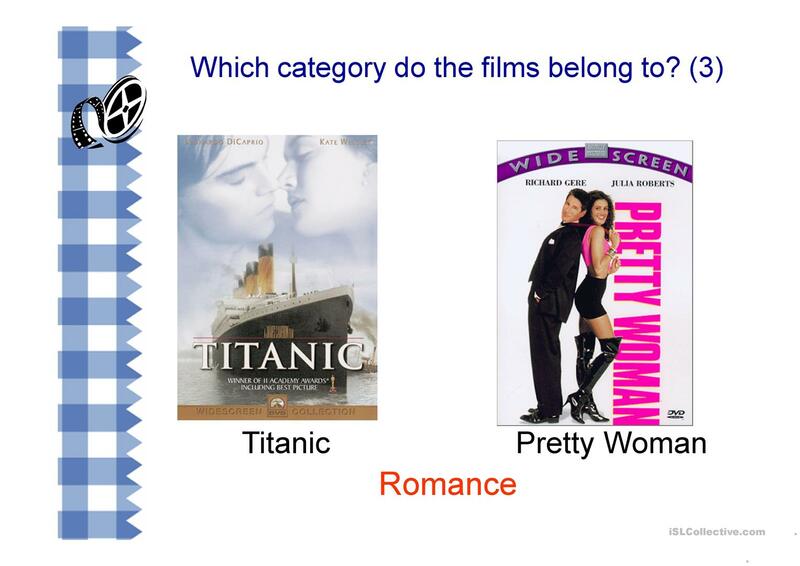 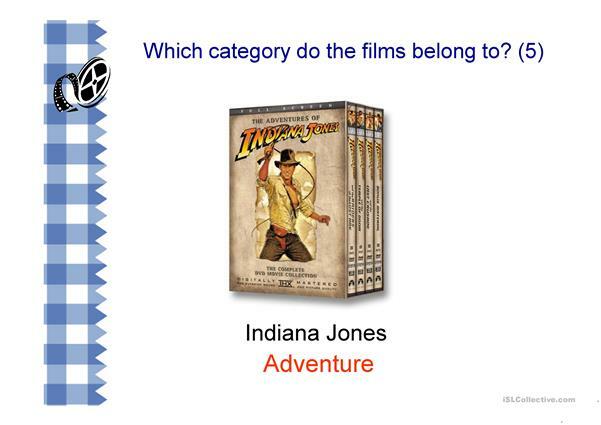 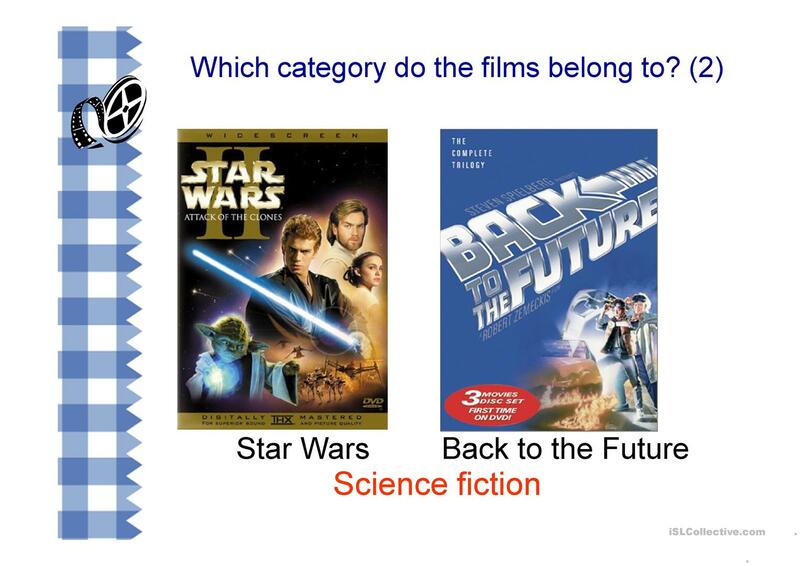 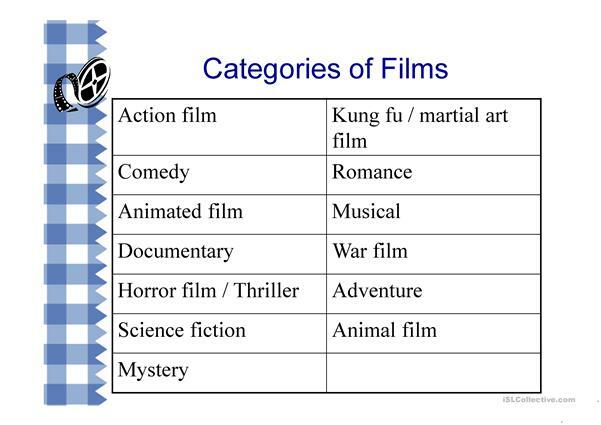 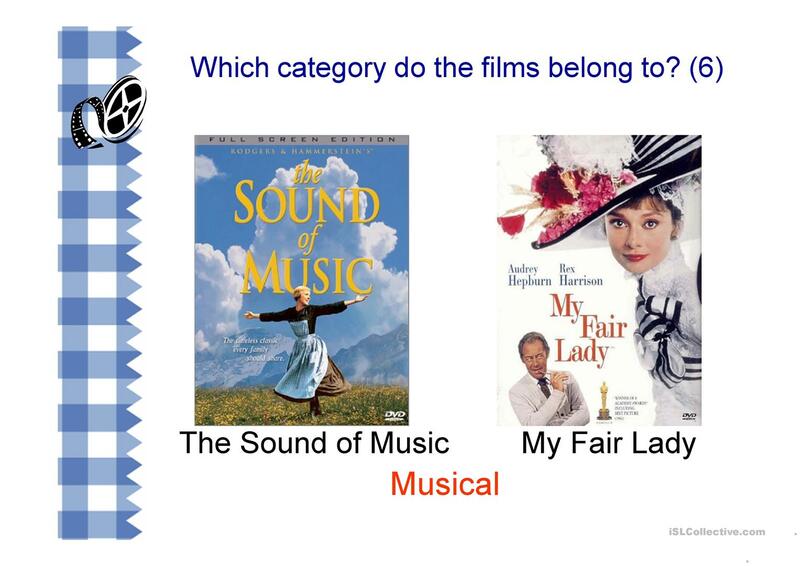 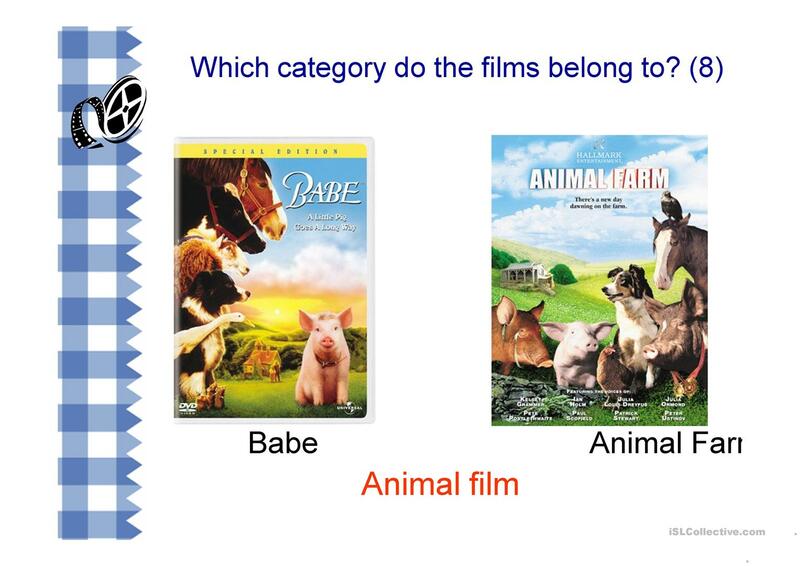 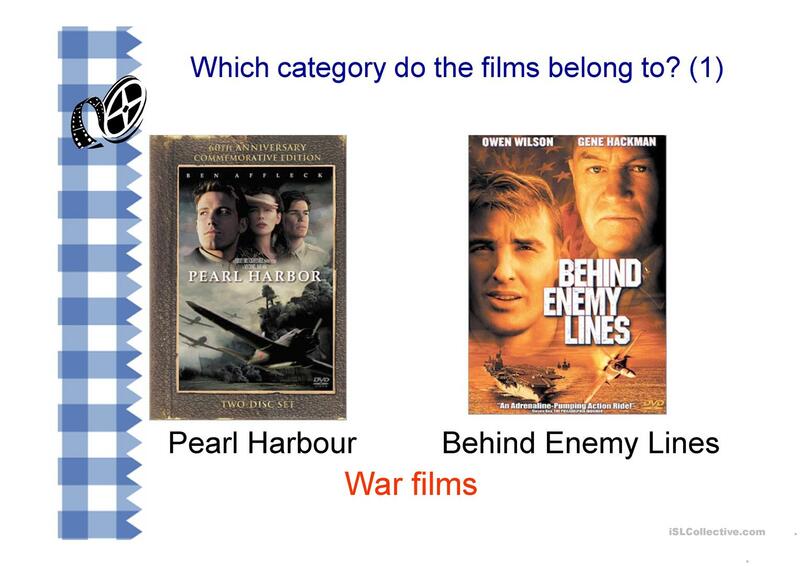 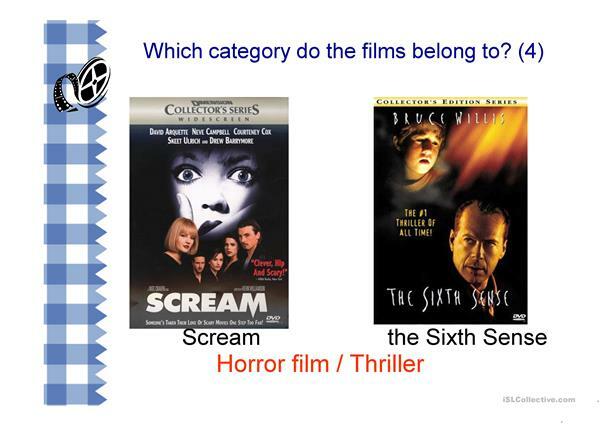 Film Categories with picture examples shown. Film categories include action film, kung fu / martial art film, comedy, romance, animated film, musical, documentary, war film, horror film / thriller, adventure, science fiction, animal film, mystery. The above downloadable printable is recommended for high school students and elementary school students at Intermediate (B1) level.